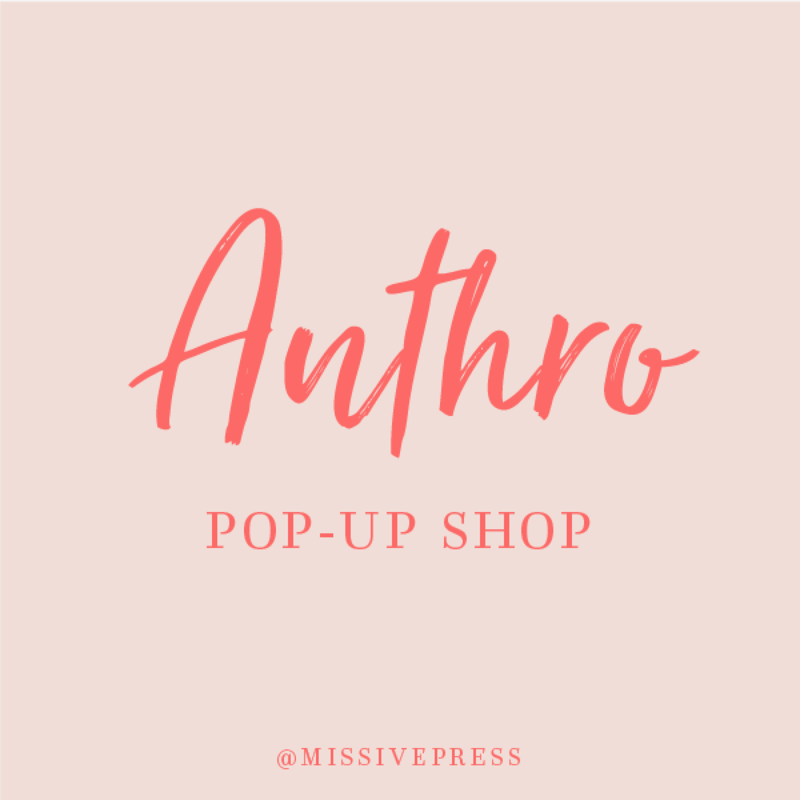 We're excited to announce our upcoming pop-up shop at Anthropologie! Join us on Saturday, 5/12 from 12–4 pm at Anthro & Co.'s beautiful Walnut Creek store for their Mother's Day pop-up event featuring local makers. We'll be debuting many new letterpress card designs for moms, dads, grads & more, plus stationery and other letterpress goodies. We hope you'll stop by and say hi! We're excited to announce our upcoming holiday pop-up shop at Madewell–one of our favorite brands! Join us on Saturday, 12/9 from 2–4 pm at their Walnut Creek location. You can enjoy sips and sweets while you shop our line of festive letterpress cards, stationery, limited edition art prints and more, just in time for holiday gift giving. Also, you'll receive 20% off your Madewell purchase of $100+ or 30% off $200+ or more. We hope you'll stop by and say hello! 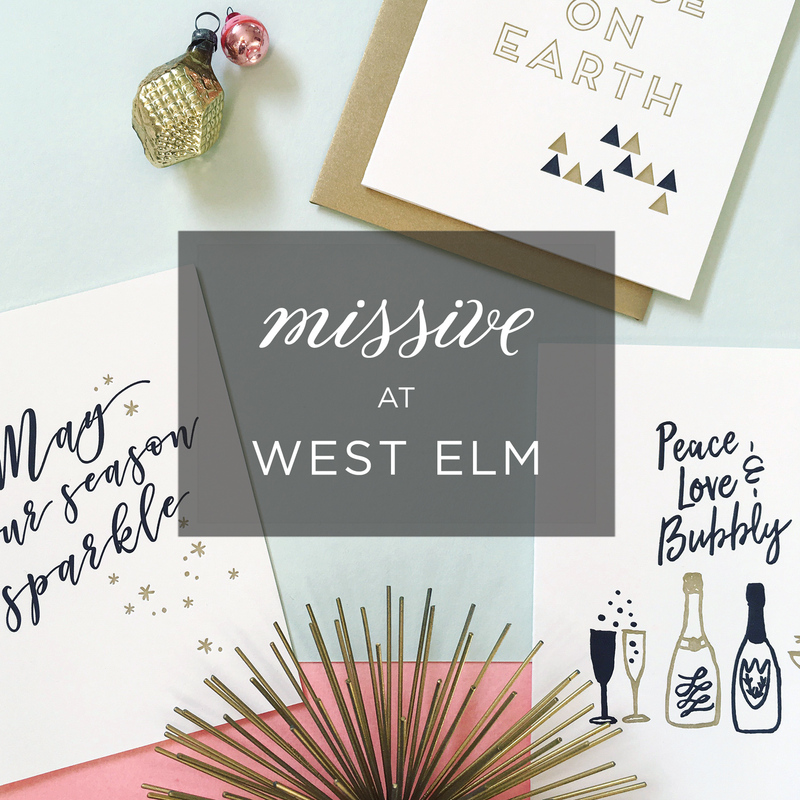 Exciting news—We're bringing our letterpress goods to West Elm! Join us at our Pop-Up shop on Saturday, Nov. 25, 10am - 5pm, at West Elm Bay Street in Emeryville. We'll have cards, gift tags, art prints, stationery and more, just in time for the holidays! 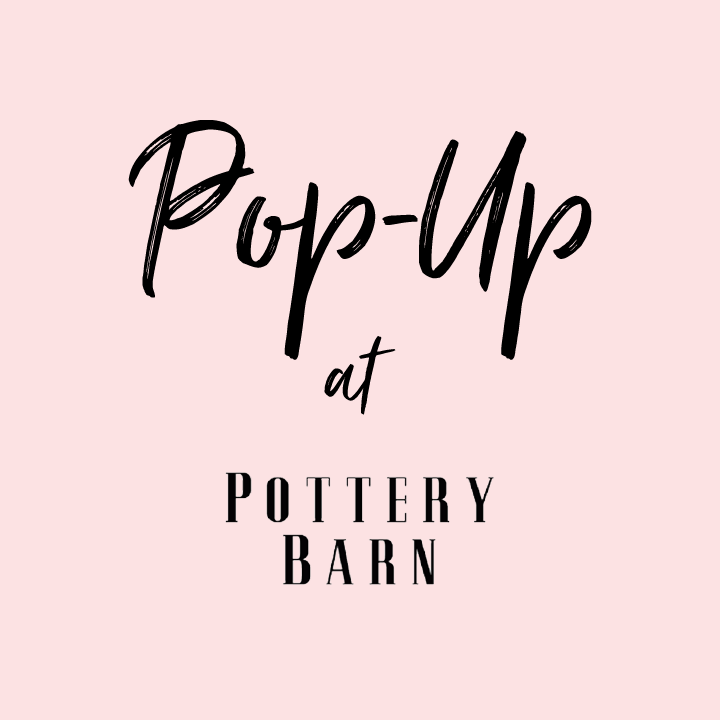 Bay Area Friends—We'll be popping up this weekend at our local Pottery Barn store! Join us this Sunday 9/24 from 12–2 for their Registry Pop-Up event featuring local vendors. We'll have a large display of letterpress cards, stationery, wedding invitations and more on hand. Come by and say hi—we'd love to meet you!